On the other hand we no longer walk everywhere; our 9yr old MINI Cooper, Bonny, allows us unlimited access to every place we wish to go. So I got to thinking about “out there” (OT) vs “tied down” (TD) while I was in the middle of mega errands the other day and this is what I came up with. Maybe some of this will strike a chord with other cruisers, or not… perhaps for those still with strong land ties (read: landlubbers) you will be enlightened! The three most striking differences between OT and TD are 1) for much of the five months of TD we are three, making life aboard more cozy, dynamic and replete with family conversations, mostly at dinner time; 2) we smile at how no money is being spent on diesel and try to ignore how much we are spending on food and all the summer’s misc boat projects and routine maintenance and 3) working! all three of us work part-time and that feeds Kitty for Russ & I and helps keep the dream alive for a few more years. OT= virtually constant awareness of weather and sea-state. TD= we can’t easily turn off our attention to weather but we do take it down a few notches, to the point of knowing if we need to bring rain gear in the car. OT= being part of the expansive community of cruisers. TD= not sure how we fit in. 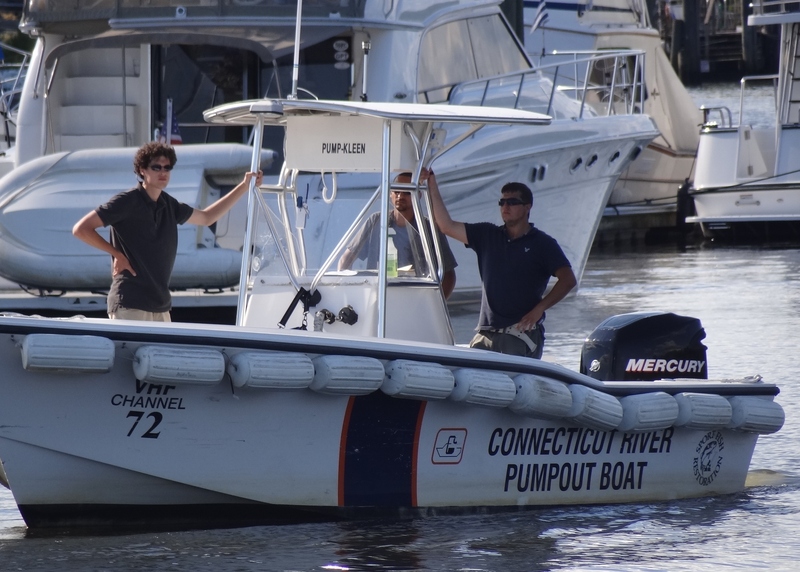 Living opposite lives of nearly all our marina neighbors, we are 24/7 on board, work summers, play all winter and fondly watch the boat traffic. TD= no worries about water, electric, heat or cold, propane while when OT we conserve on all these. Even with a water maker we can’t run all water through it. Muddy, silt-y, polluted water is a no-no as well as water that contains bleach. Water usage and production management is important when we are “out there”. Underway with the engines charges the batteries, makes hot water and provides enough juice to make coffee, run the microwave and use cockpit lights and small fans if needed. If we sail too much – yes, that does happen J – then the poor batteries get wimpy and we fire up the genset; although that still gives us a net fuel savings. TD= having a car and access to all the variety we miss while in the Bahamas. Worth mention is that in CT we don’t have Publix or The Fresh Market; those we do miss. Stop & Shop simply does not compare; prices are higher and not the great B1G1Fs we find at Publix. Maybe you detect a little whine with that complaint! Oh, but that reminds me that once we leave CT we can buy wine in the grocery stores; I love that one stop shopping. Big news in CT is that now liquor stores can open on Sundays; leaving Indiana the lone holdout. ← Yay for the CT River.. Boo for land germs!